On our break to Palma, we knew that we wanted to try La Boveda. 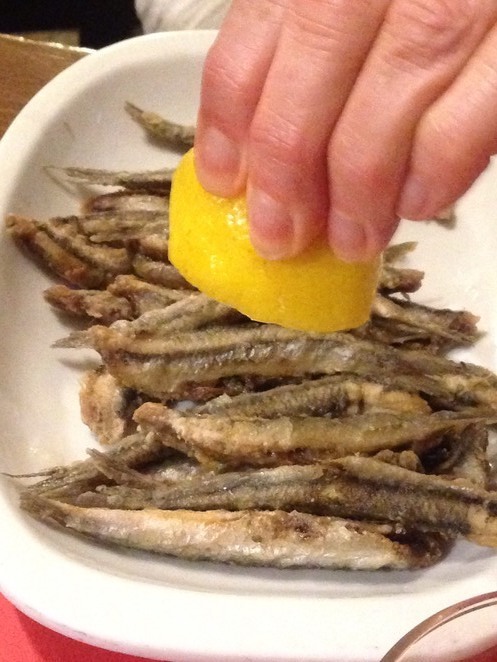 It had come highly recommended for its traditional Spanish and Majorcan food, and we weren't disappointed. It's recommended that you book, or arrive at opening time for your evening meal. La Boveda gets very busy, and you'll know why when you try what's on the menu. To share between the four of us, we tried the small plates of Galician Octopus and Small Fried Fish (we call it 'whitebait' in the UK). 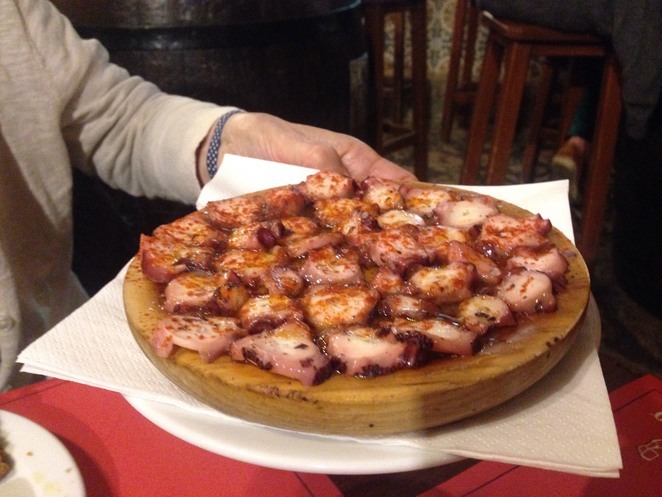 I've had octopus before, but it's really something else cooked Galician style with paprika. My sister had a traditional white bean stew with clams, while Dad and I had the hake cooked in tomato. Mum tried the lamb (a personal favourite of hers), and of course, we all opted for the traditional Majorcan bread for the stews! The stews are incredible, and there is also traditional tapas plates, cheeses, and cured meats on offer. The atmosphere, while busy, is warm and welcoming and you'll leave wanting to return the next night. Sadly, our trip to La Boveda fell on our final night in Palma, otherwise we would have returned!